Martin Luther King High School's Mock Trial team defeated Poly High School to become the 2018 Riverside County Mock Trial Champions. This year's competition takes place tonight at three courthouses around the county. of the 37th annual Riverside County Mock Trial Competition. Foundation, the Riverside County Bar Association and the Superior Court. 14,000 youths have participated since then, according to organizers. residence in a retaliatory act. award points in accordance with criteria established for the competition. part. Last year's winning team was MLK High School in Riverside. 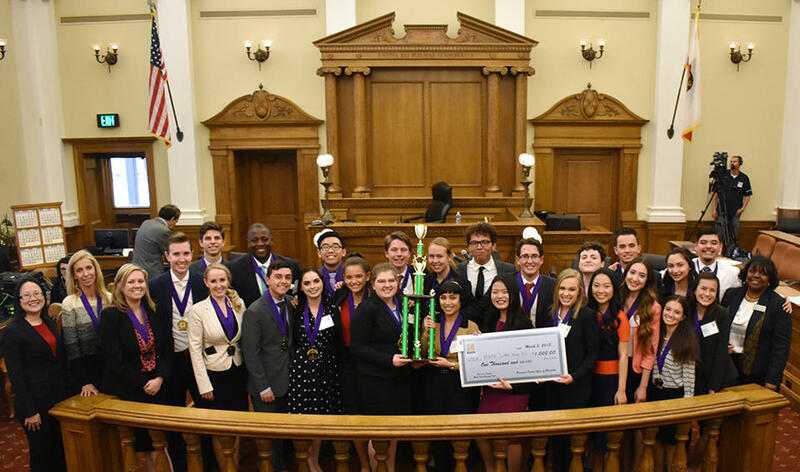 Mock Trial Competition, slated for March 22-24 in Sacramento. More information is available at www.rcoe.us/student-events/mock-trial.